With big brands dominating the social media influencer circles and celebrities selling their precious endorsements, it was starting to look like the authentic appeal of social media marketing was dead. Fortunately, there are still plenty of stories of startup unicorns floating around to give a small entrepreneur hope. Some stories just warm your heart … and inspire you to go out and conquer the social web. Authenticity and connection are the enduring concepts in social marketing, and brands still get it wrong all of the time. You can’t fake authenticity. Unfortunately, you aren’t always in control of the relationships you foster. Your audience will embrace your brand or not as they see fit. Facebook algorithm changes and privacy upgrades have made it increasingly difficult to make the marketing magic happen. It’s not only more difficult to grow your audience—it’s harder to reach the audience you already have. Social commerce may have changed as a result, but it’s still alive and well. Instagram is dominating today’s social media marketing industry. The release of IGTV, Instagram’s new video application, may up the value to marketers even more. So, what elements make some brands successful on social media while others fall flat? Let’s take a look at a couple of wildly successful brand stories. 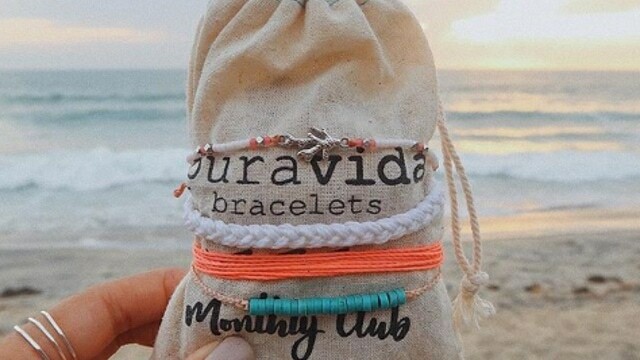 Pura Vida is a great example of a brand that speaks not just to style, but to lifestyle. The original string-and-bead bracelets appeal to the boho beach bum in all of us and struck an enduring chord with tech-saturated millennials. Hitting the market at exactly the right time, two young entrepreneurs struck all the right notes for success, beginning with an entertaining origin story. One of the major reasons why the brand resonated so well with young people was its commitment to social responsibility. It gave consumers reasons to be proud of their purchase. Its products are handcrafted by artisans in impoverished countries, and 10 percent of the proceeds are donated to charity—values important to socially-conscious consumers. Loyal customers don’t just buy products, they become part of a movement. They can join a monthly club, earn rewards and have their uploaded content promoted by the brand. Rachel Nilssen is an entrepreneur with an ultimate ecommerce rags-to-riches story. Just four years ago, her family of five was dead broke. With no money to start a business, Nilssen started selling her kids’ used clothing online just to generate a little extra cash. When she realized that her own handmade clothing sold faster than commercial clothes, an idea was born. Her designs offered something different and, in a world where fashion is dominated by 1 million stores carrying the same cookie-cutter apparel, Nilssen offered clothes that really stood out. Cleverly designed to be snap-free and easy to wrangle onto a squirming toddler, comfortable, soft and durable, Rags turned out to be an easy sell. In just a few years, the company started by a desperate mom was a multimillion-dollar business featured on Shark Tank. In both examples, the founders knew exactly how to leverage Instagram to grow their brands: They invite customers to submit photos of products in action. 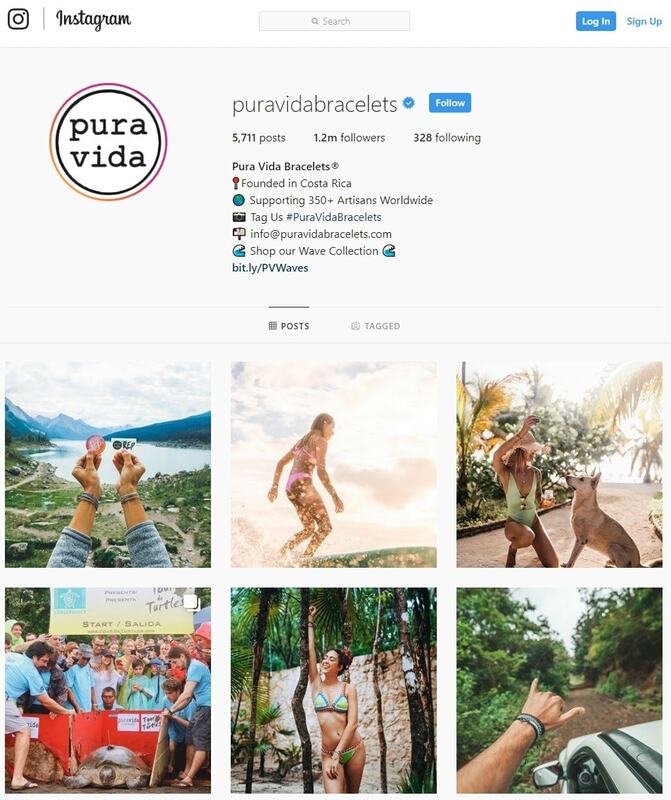 Pura Vida’s customers submit actions shots at the beach, in the mountains on adventures. In turn, the company promotes user photos and users gain more followers—a huge bonus for those who wish to become influencers. Nilssen’s ace in the hole is simple adorableness. 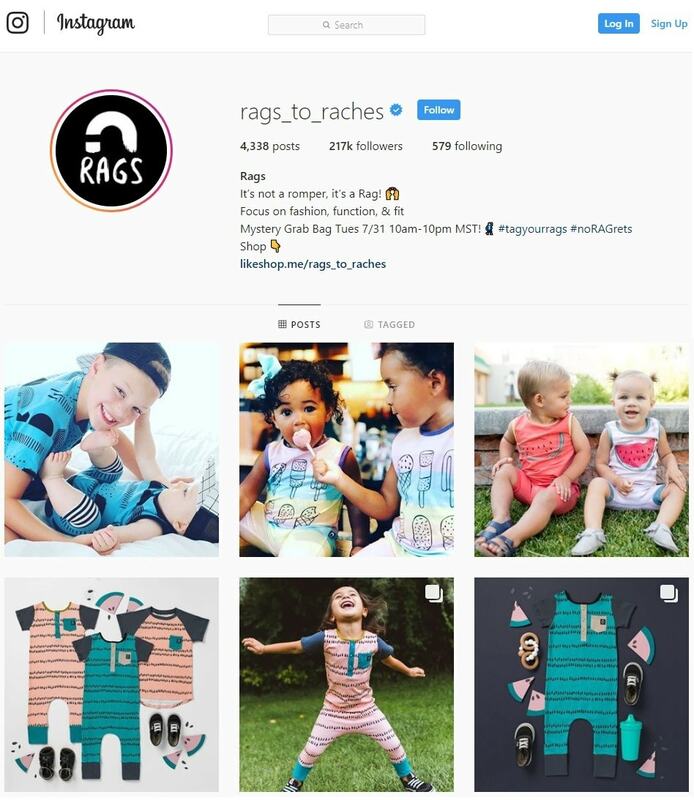 She posts her own irresistibly cute images of kids having fun in her clothes and asks her customers to do the same. They do, and it’s pure magic. Quality user-generated content enforces an age-old marketing “join the cool kids” concept. Who doesn’t want to be that cute couple preparing to zipline in the mountains, that tatted-up cliff diver or that bikini-clad blonde strolling the beach in Costa Rica? What mom doesn’t want happy, adorable kids in cute (clean) clothing? We all buy into the fantasy: That’s what marketing is all about. Sherry Gray is a freelance content writer from Key West, Fla., currently suffering in the suburbs of Orlando. She is a science geek, a social media junkie and an unapologetic fan of all things bacon. Follow her on Twitter: @SheriSaid.